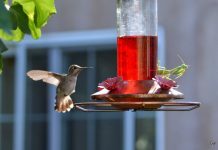 Home Diet & Eating Habits How Do Praying Mantis Eat? Praying mantis isn’t only the deadliest of predators—it’s the most efficient too. Once it gets hold of the prey the victim is less likely to escape death. Praying mantis bites the head off the prey then followed by the rest of the body. This is the rule of thumb for eating lunch. Even so, the female that eats the male during or after mating is thought to consume the male’s head first. If you happen to come across any headless male then it probably is the unlucky mating partner of a hungry female. 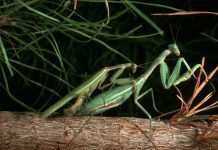 How Do Praying Mantis Eat? 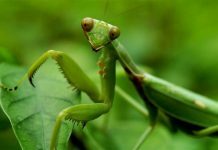 – Why Do Praying Mantis Eat the Head? 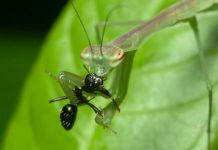 There might be a reason as to why mantises are adapted to beheading their mating partner even when they counter no threat. 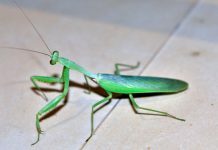 Earlier scientists thought that the ganglion occurs in the mantis’ abdomen (instead of the head) so removing head possibly enhances fertilization. They believed that the cannibalizing behavior of a female could be one of the reproductive strategies. However, lately researchers have rejected this phenomenon. They said that since the experiments are performed inside the laboratory (artificial environment) the mantis would not be able to demonstrate just the kind of behavior it does in the wild. Let us not forget that praying mantis is extremely sensitive to any disturbance such as the lights. Mantids just can’t behave in the laboratory the way they do in the natural setting. Therefore, scientists have yet to decide as to why praying mantis eats the head first. Liske, E.; Davis, W. J. (1984). 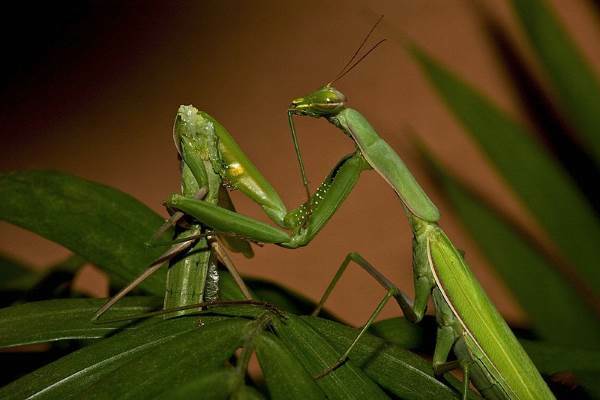 “Sexual behaviour of the Chinese praying mantis”. 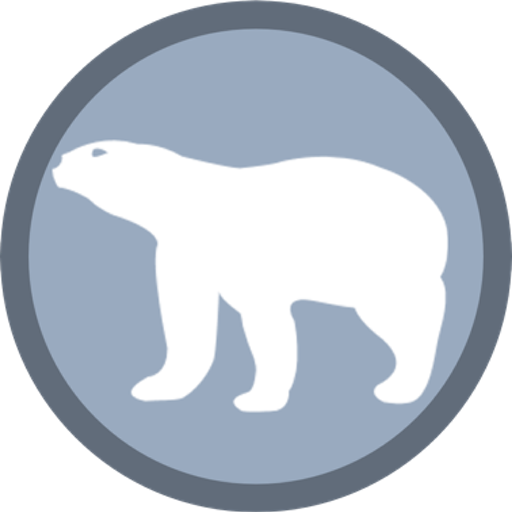 Animal Behavior. 32 (3): 916–918. doi:10.1016/S0003-3472(84)80170-0.